@SpittingCobra: There's been a lot of talk about that already. Obviously the nose has a big impact on the rest of the car behind it aerodynamically and there is a clear division. The shorter noses have apparently been harder to crash test, hence Red Bull's last minute go ahead, but the top teams will have all tried a number of concepts. However, Red Bull wouldn't say if they'd stick with there's and a few others have been coy about what will come in the future. We have our first two lap times of the day on the board. Hamilton has set a 1:24.803 and with it caught onto the tail of Nasr's Sauber which has set a 1:28.817. The mercedes nose looks much better in comparison. Just hope they dont run away with the title without a tough fight. Note the little bulge on the nose of the McLaren. But don't worry, it's not permanent, just a housing for a measuring/testing device. @Rahulan: The nose is probably the biggest change in the regulations this year. It has to go even lower and the rules have changes so as to avoid the long finger solution seen on a few cars last year. The opening up of performance changes on the power units is also big and the manufacturers are now allowed to use variable length inlet trumpets. The tyres on the McLaren look different are they running a different compound? @KiwiBjorn: The tyres are unmarked - i.e. no hard, medium, soft or super-soft markings. That usually means they are a development compound. How close will the Engines that they are using here be to the actual race Engines that will debut in Australia? @Siddhesh: Most likely quite different. The teams are keen to introduce developments ahead of Australia..
Button returns to the pits after another lap in the McLaren. @vinayak: It's probably a bit too early to be jumping to those conclusions. But he does seem to be very happy in his new job. How hard Honda could catch the front runner power unit? Why it looks so difficult for new engine to compete with others? @wisnuwin: You have to remember that these are very early days. Renault made very slow steps with its new power unit last year, and admittedly paid the price compared to Mercedes. 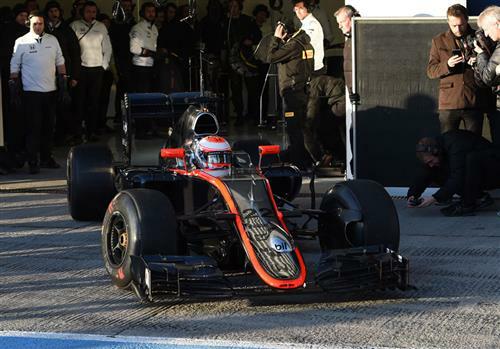 However, McLaren is confident it has a power unit capable of matching the likes of Mercedes when it is up and running. Of course, we won't know for certain until it starts racing. Won't Vettel struggle more because of the pull rod suspension because of his driving style? Will we see a continuation of his struggles from last season? I know that the Ferrari will have different characteristics compared to the Red Bull but how big of an impact will that pull rod suspension on his driving? @NikhilDuki: The Red Bull didn't have pull-rod suspension and he struggled with that. I wouldn't say there is anything specific about pull-rod suspension that doesn't suit Vettel as long as the car is well balanced and has plenty of downforce. Honda spent many years sans McLaren without a Title...remember the Earth car..lets see on the McLaren Honda, it just might be a Meh! any news on lotus?? will they be running today? @Rahul: The car is here and is currently being built. The team said it would do no "significant" running until tomorrow, but you never know, we might get a few installation laps later in the day. Any word on Caterham or Marussia finding buyers? @ImaRedBull: Sadly nothing concrete enough to be taken seriously. The deadlines keep being extended, but anybody wanting to take on a back-of-the-grid team now for a whole year with limited testing is a very brave/rich person indeed. why can't two drivers drive on a same day. Wouldn't that reduce the doubts the drivers are having and can analyse in two different ways of how car needs improvement. @whycanttwodriversdrive...: Costs. 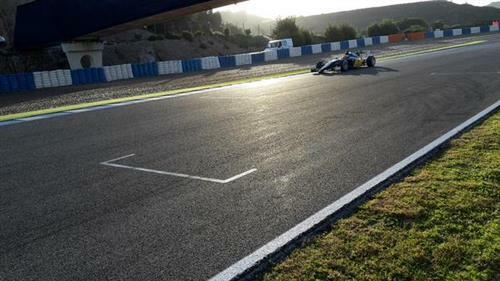 When the teams decided to restrict testing they also agreed to run just one car at tests. Also there may not be two chassis complete at a lot of the teams. @Laurence: Just heard the Mclaren coming out the garage yesterday and it was sounding awful. Was that the case as well today? @Rahul: It wasn't quite as bad today, but it definitely sounds different to the others. When its not spluttering and stuttering I think it actually sounds rather nice - more guttural and possibly slightly louder. @ImaRedBull: No harm in asking. Would the Honda 'spluttering' perhaps be the engine deliberately running on less cylinders in the pit lane? Saving a drop or two of fuel? @StormyPerth: I think they'd be more happy with it running smoothly on six right now! But it also made that noise all the way out through the first two corners before clearing its throat. I think Mercedes is hiding their pace to confuse their competitors. Their focus are on reliability. I think we are going to see the real pace of silver arrows at the end of February! @LaurenceEdmonds thanks for what you do but why can't you guys provide a feed showing cars on track, pit, crashed, eating ice cream etc? Car's tech improving by the season, F1 consumer tech not so much. @SpittingCobra: There is no TV feed at tests as the cameras aren't set up. You've got to remember that it costs a lot to bring the footage you see at races each weekend and testing doesn't carry that much interest. We are also restricted by what we can bring you (no moving images) by the contracts that govern the commercial side of the sport. What's the Mercedes like today compared to yesterday? 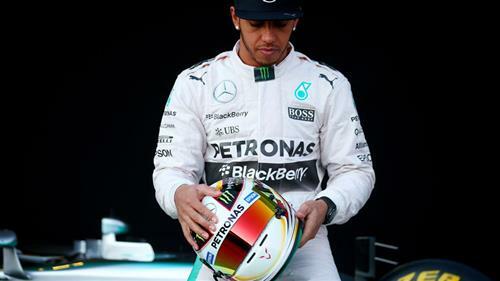 Is Hamilton out there doing laps non-stop like Rosberg did yesterday? @playlife: Not right now. The car is in the garage. But that could be for any number of reasons. Sit tight and we'll have a better idea by midday. After yesterday's high mileage running, they may want to experiment with a few ideas today which will mean more time in the garage. On the other hand, they may just keep racking up the laps. New fastest lap for Sebastian Vettel. A 1:21.926. That's the fastest time yet this week. What i dont get is, if you have your car at the factory, surely you are going to bolt it on, put it on a dyno, run it for a race simulation a few times and iron out the gremlins. Would they not have picked up electric faults etc here. 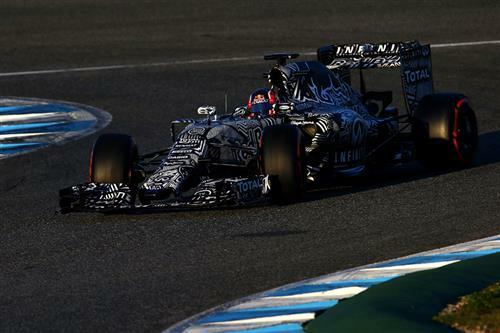 Why only figure this out at the track in A.D and Jerez which could be used for its actual purpose. - Same for Lotus, bolting your car up on Day2 of a Test, sounds abit ridiculous to me. @Red_ZA: Running on a race track is very different to running on a dyno. Getting a power unit as complex as these to work with a brand new prototype car (which, you must remember, is built to be as extreme and fast as possible) is not easy. Testing is exactly what it says on the tin: a chance to test the cars. Part of the reason you test something is to see what goes wrong. If they turn up at the first race and the car doesn't run and isn't competitive then the job has not been done well. @Compboy: There is no race at Jerez, but the best time in the test last year was a 1m23.276s. However, we did have one wet day and one damp day last year.